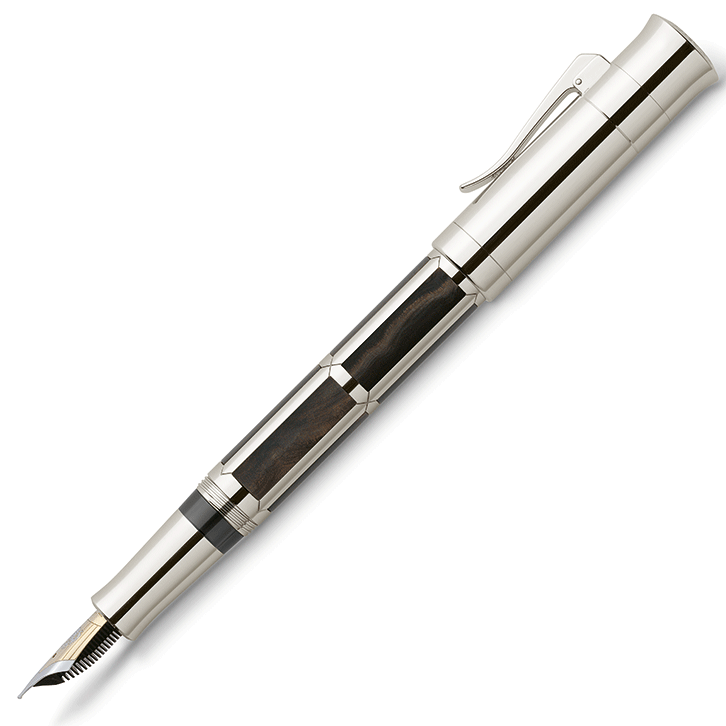 “Pen of the Year 2007” – this outstanding limited edition fountain pen from the Graf von Faber-Castell Collection takes us millions of years into the past with a barrel made of petrified wood. 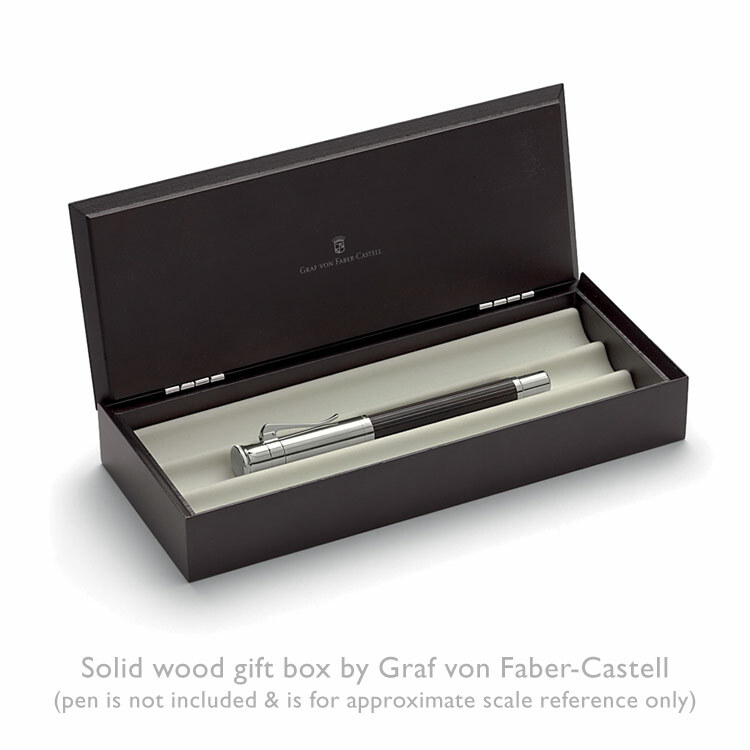 “Pen of the Year 2007” – outstanding again, this limited edition fountain pen from the Graf von Faber-Castell Collection takes us millions of years into the past with a barrel made of petrified wood. Petrified wood has formed over a period of up to 360 million years by being subjected to a permanent crystallisation process. During this immense amount of time, the wood has undergone a unique metamorphosis while being buried in the water, mud and volcanic ash. Minerals, metals, lime or phosphorous from the mighty sedimentary layers have dissolved and impregnated the very fibre of the fallen trees. Gradually they have replaced the wood, while retaining part of its organic structure. In the presence of silicic acid, petrified wood may transform into a precursor of semi-precious gems such as chalcedony and agate. Select stocks of this fossilised wood are of a very rare dark colour and hard enough to give a top-quality gemstone finish. Their individual hues vary from shades of light brown through elegant anthracite grey to a deep black, where the grain is almost invisible. The stones’ intense but discrete sparkle never ceases to impress. It requires the sensitive touch of an experienced cutter to ensure that the unique nuances of the stone come to the fore, all the way from the rough cut to the final polish. The Herbert Stephan gemstone manufactury is the natural choice for this demanding task. It carries on the great tradition of the Idar Oberstein gemstone workshops, founded in the 15th century and of world renown. 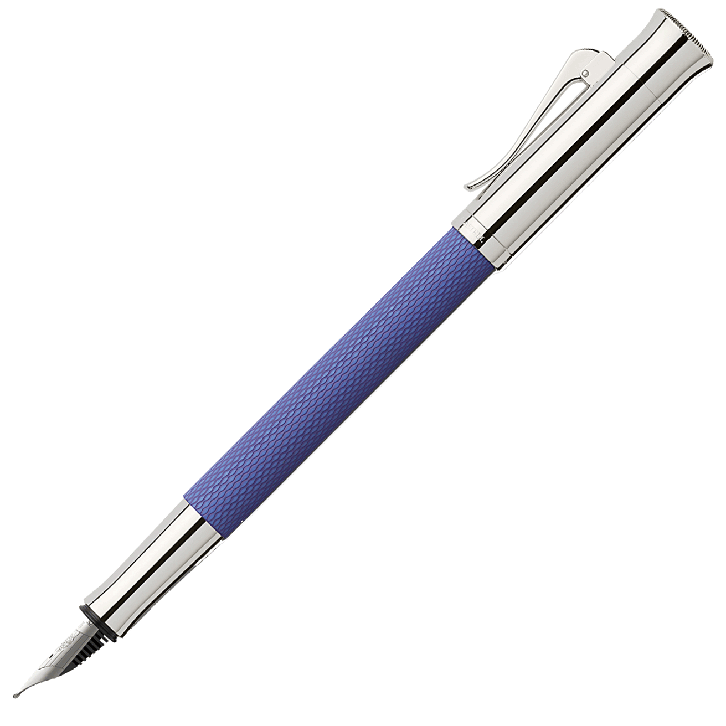 This finished model is a stunningly beautiful writing implement and piece of jewellery all in one. The platinised frame encases each and every one of the eight stone sections and shows off its unmistakable brilliance to best effect. Thanks to the virtuoso precision cut, not the slightest unevenness can be detected at the transitions between the metal and the stones. It is fascinating to see and feel such an exciting combination of two very different materials. The crowning glory of it all is a little plate on the end cap which is also made of the petrified wood. Facetted with great precision like a diamond and polished to a gleaming finish, it shows the strength and elegance of this rare material. On the inside, the masterpiece carries the logo of the Herbert Stephan gemstone manufactury – the symbol of a diamond with the initials HS. This attests the genuineness of the fossil material. The elaborate craftsmanship and the individual colouring of the fossilised material making up the barrel make each and every instrument a unique work of art. 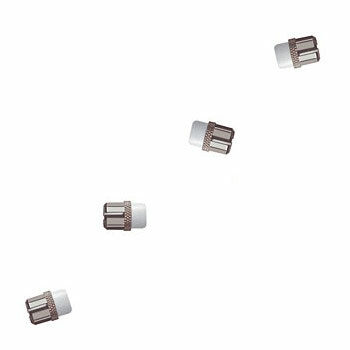 Its production is limited to one year only. Only broadd (B) nib variant remains available at time of writing. 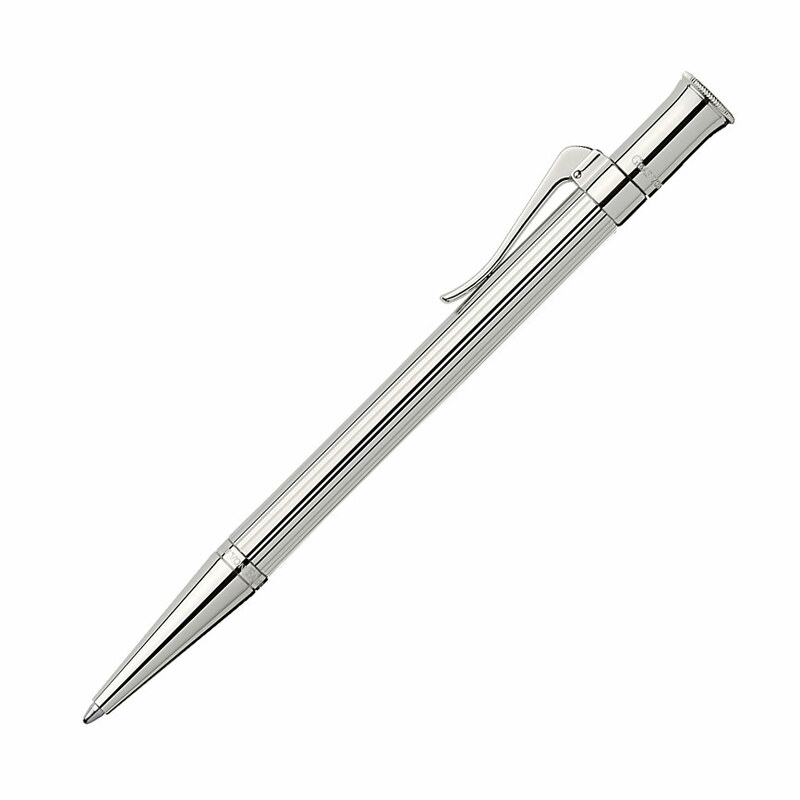 Spring-loaded solid metal clip to ensure that the pen sits firmly in the pocket. Platinum-plated end cap operates the plunger mechanism for filling. 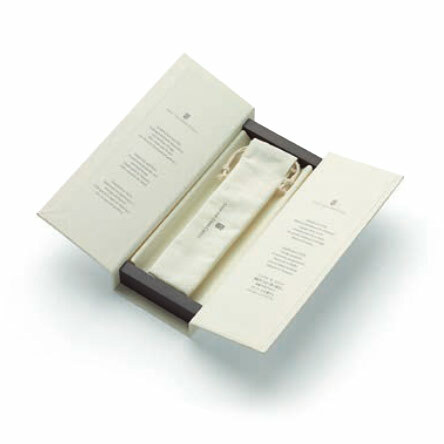 Each one is individually numbered and comes in a lovely wooden case with a brochure. 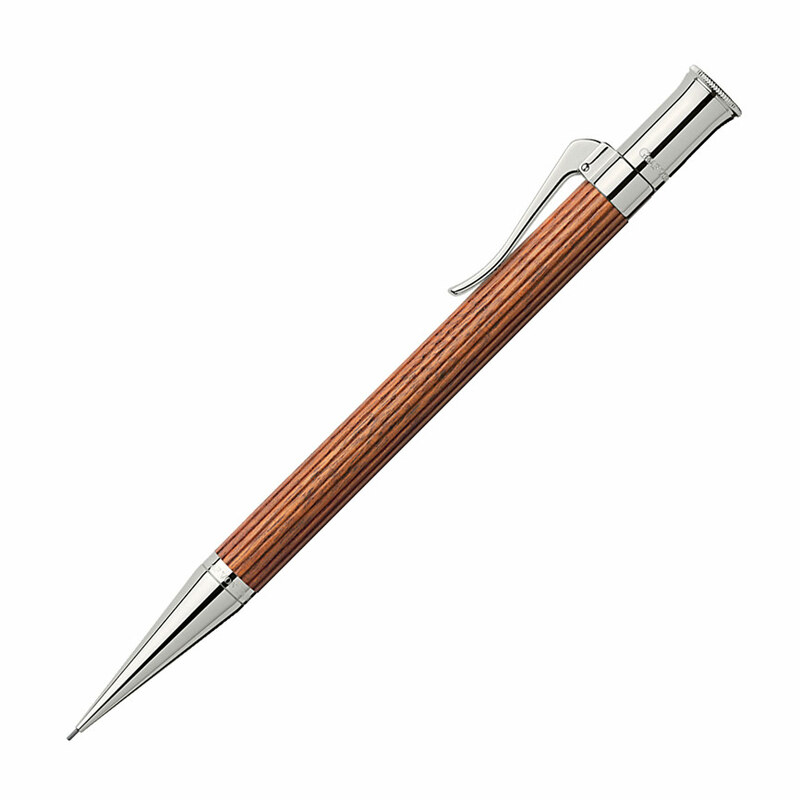 The Limited Edition Certificate bears the personal signature of Andreas Crummenauer, the master craftsman of the Herbert Stephan gemstone manufactury, attesting both the quality of the genuine petrified wood and that the pen is of a limited edition. Available only with a broad nib at time of writing (July 2018). Limited to production only in the year 2007.